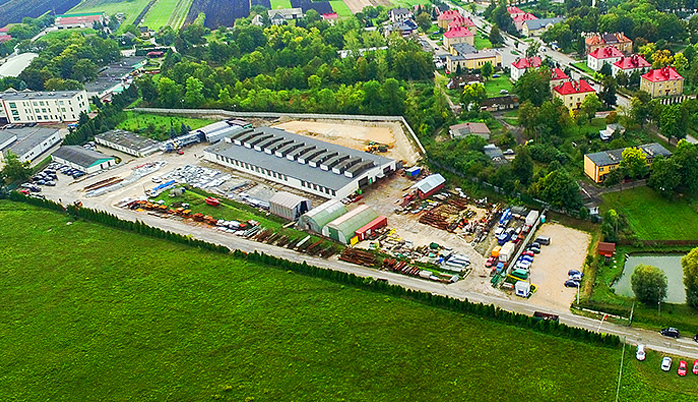 steel constructions plant, department of the technological equipment production and department of service and repairs of cement plants, limestone plants, gypsum- and cardboards as well as plaster mixtures plants, aggregate mines and factories in the timber industry. 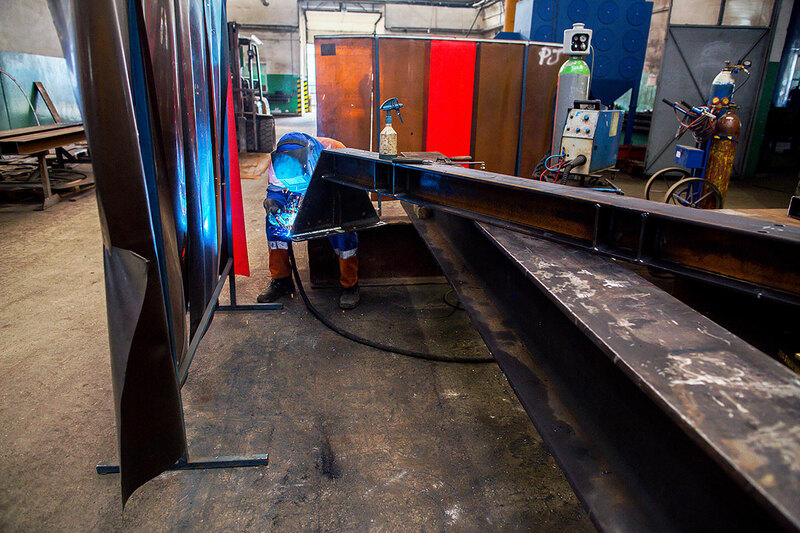 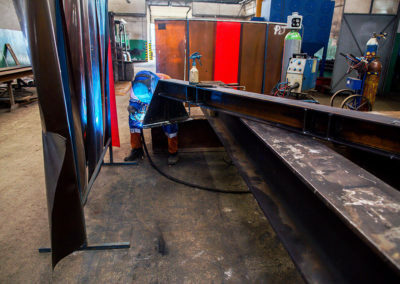 Steel constructions plant manufactures industrial facilities, supporting structures, technological equipment, pipes and tanks. 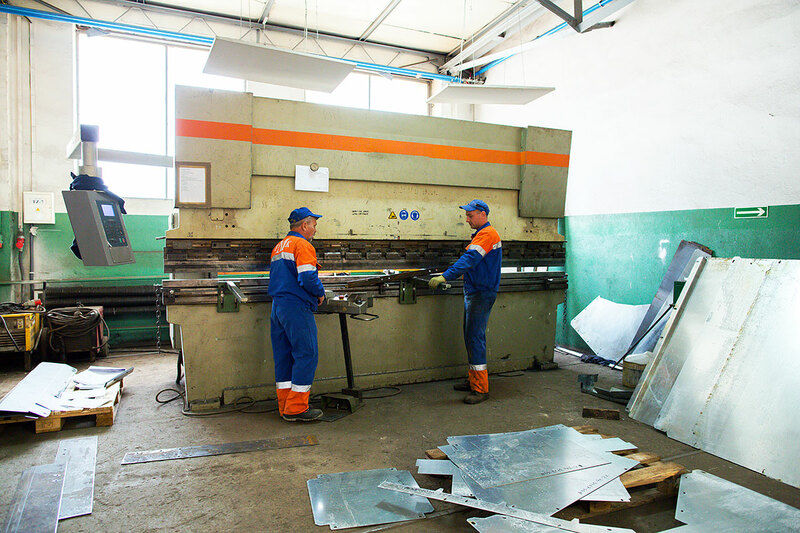 Production department is taking care of the manufacturing of technological equipment, complete product lines as well as spare parts for the cement, lime, gypsum, power, chemical, mining and metallurgy industries. 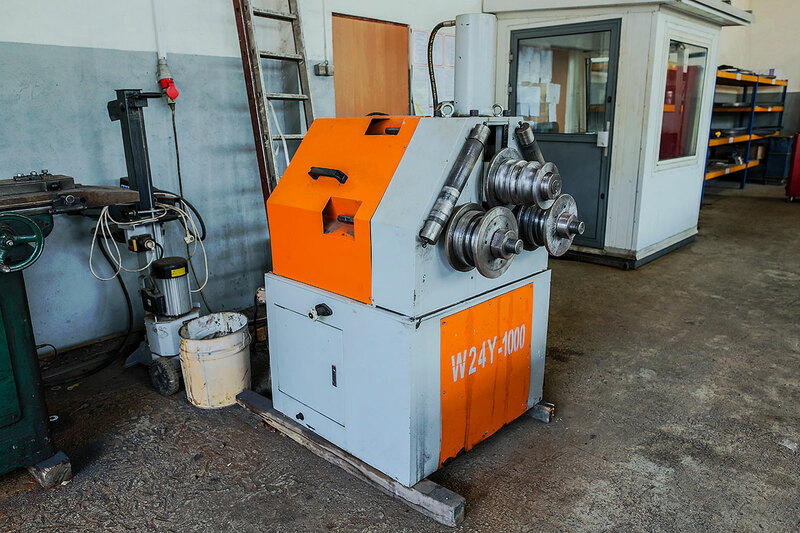 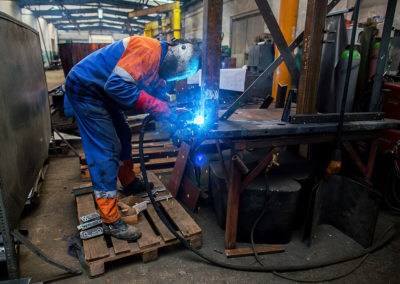 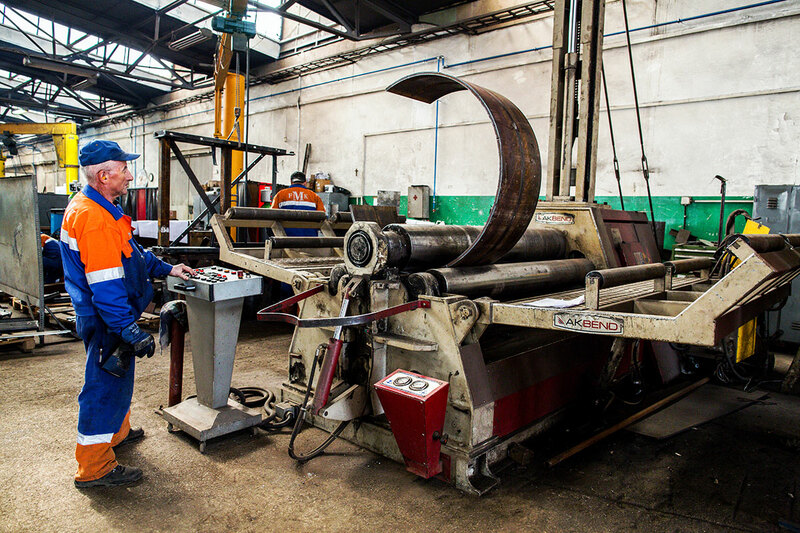 As part of the service we provide, we offer repairs, modernizations, overhauls and spare parts. 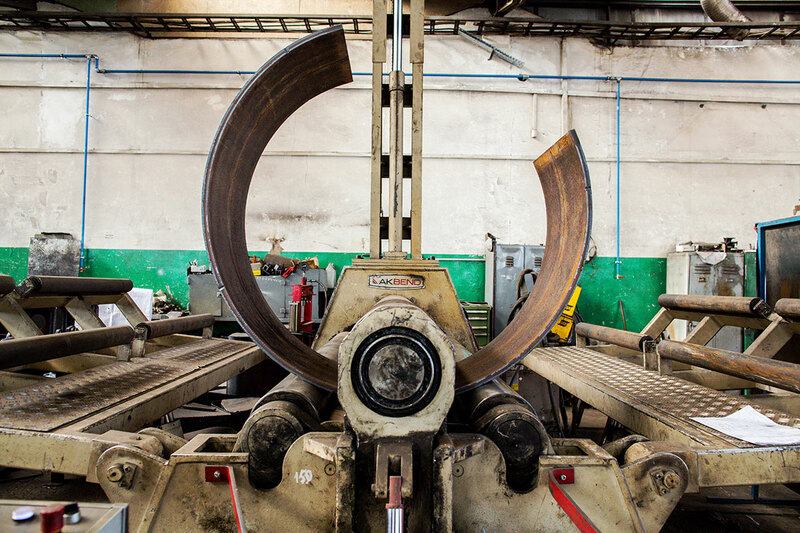 Modernizations and spare parts are made according to our own studies or documentation of the client. 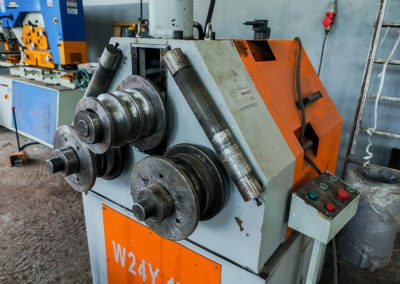 The board of directors, senior management, engineers and other employees possess very extensive knowledge and many years of experience in the field of services. 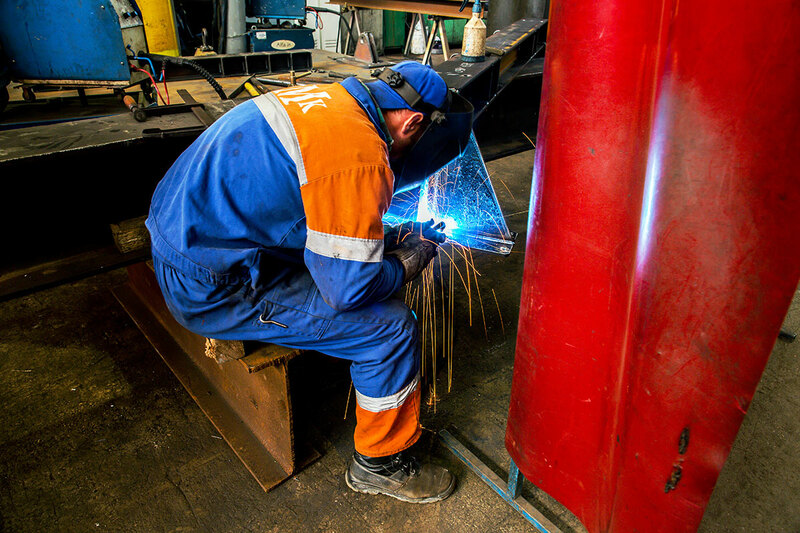 Our company conducts ongoing trainings for our employees to improve their professional qualifications and overall safety. 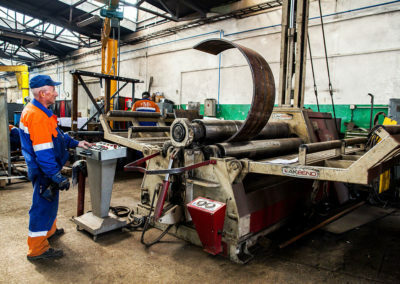 The high quality of our services, competitive prices, timely delivery and years of experience guarantee the satisfaction of existing and future customers. 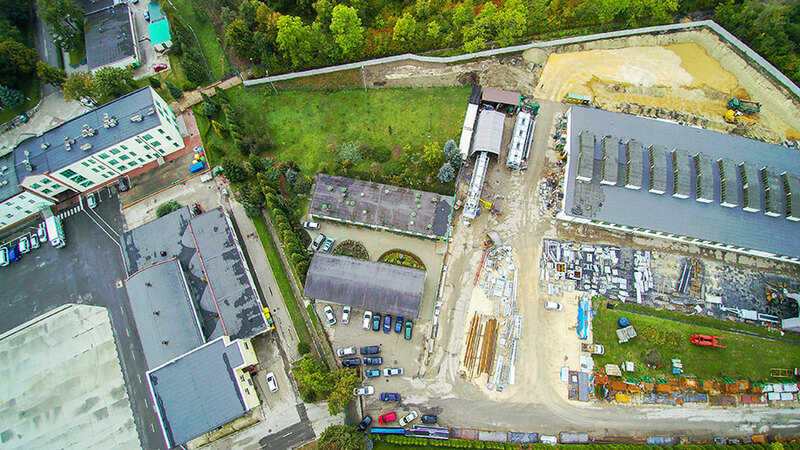 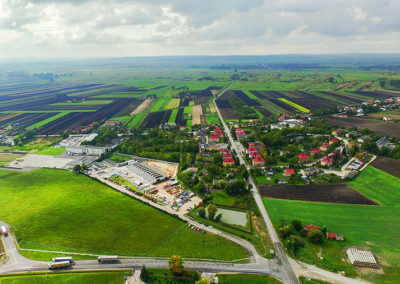 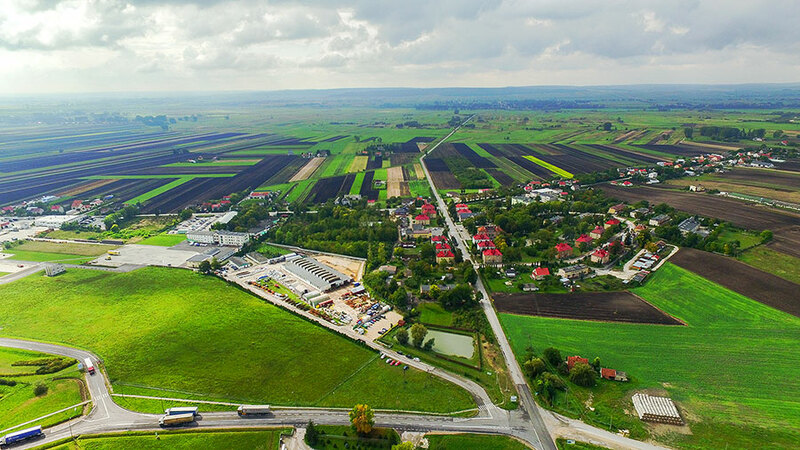 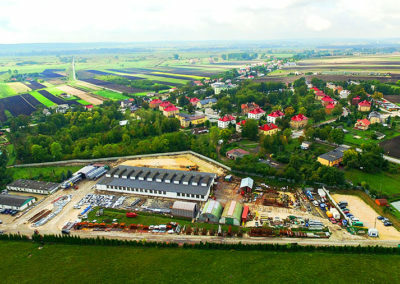 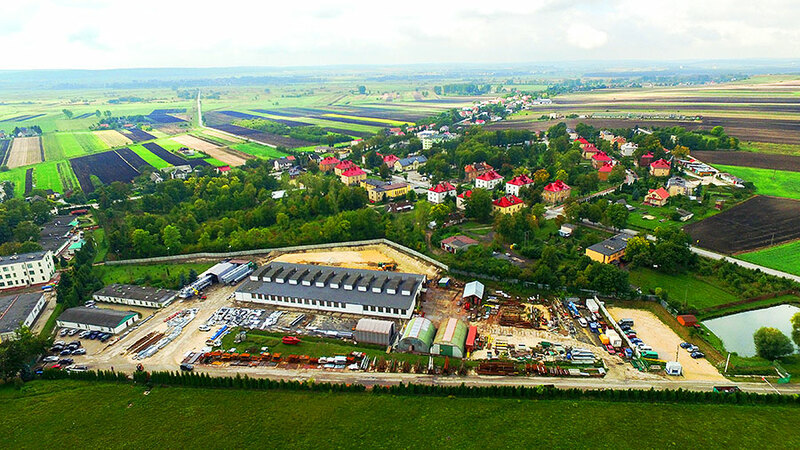 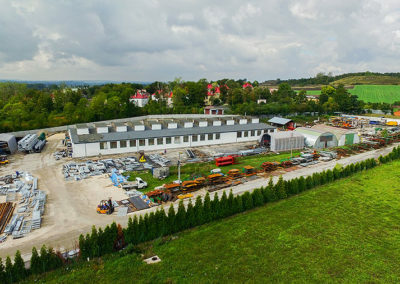 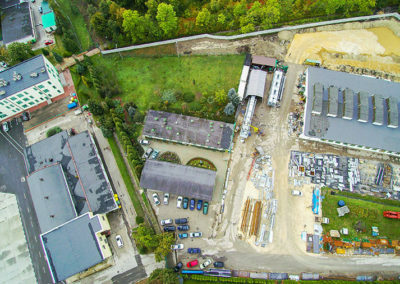 We are responsible for the constant maintenance at the companies: cement plant in Małogoszcz, cement plant in Nowiny and the company Dolina Nidy. 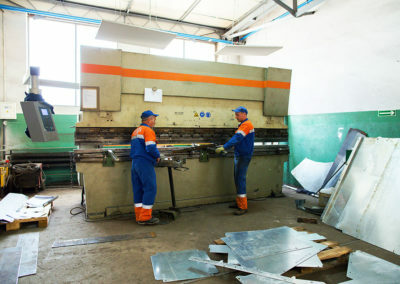 Such actions have a significant impact on cost reduction. 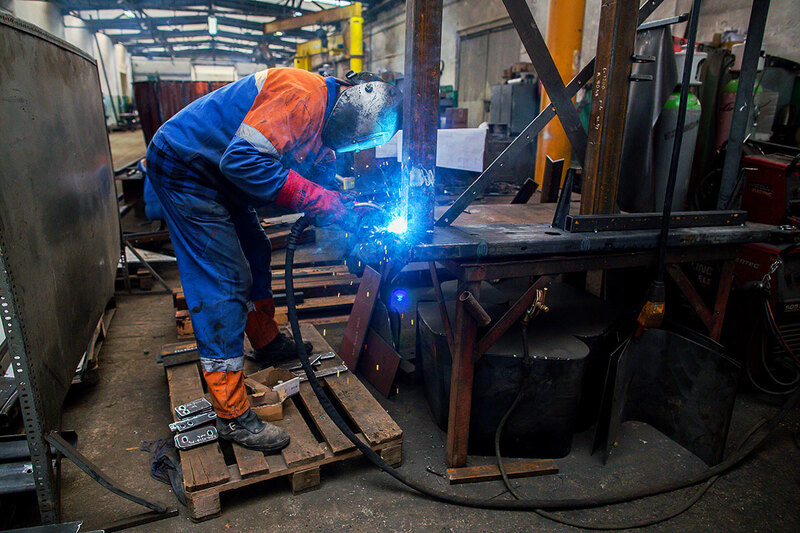 where qualified staff will solve the most complicated problem. 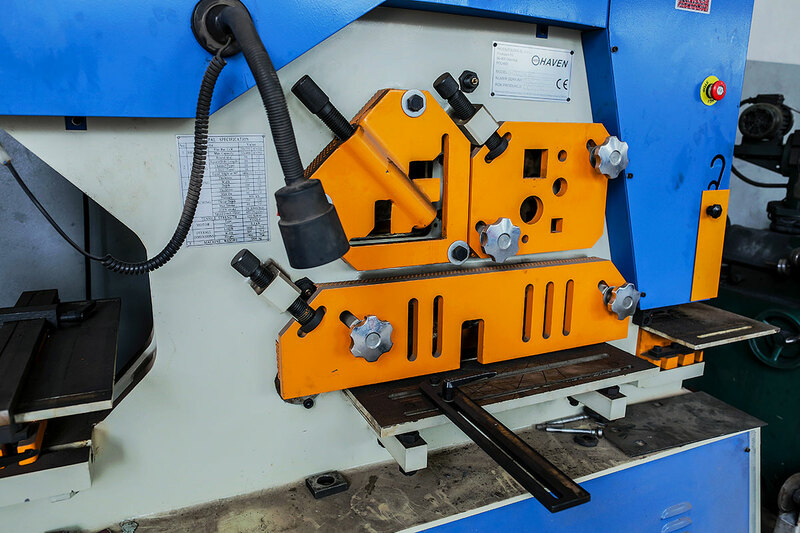 Competent quality controllers will not allow defective parts to be used. 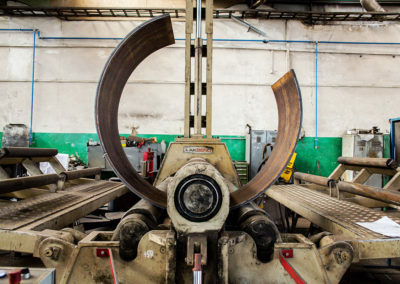 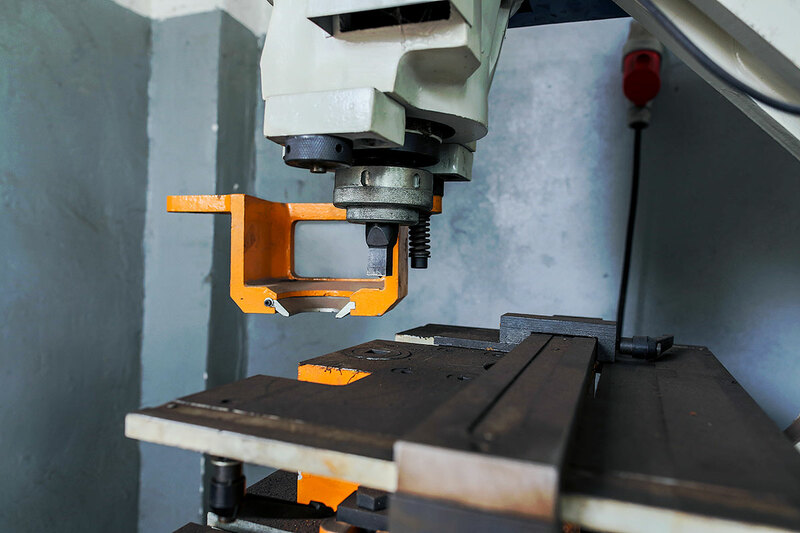 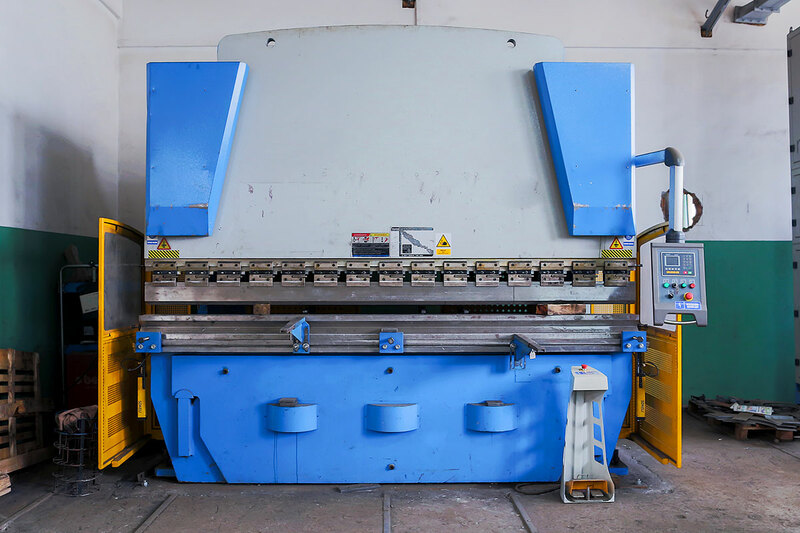 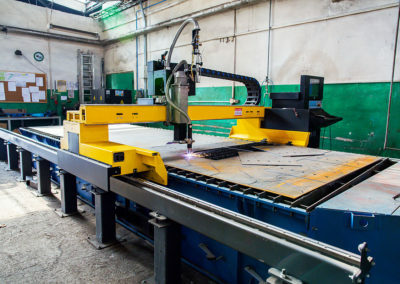 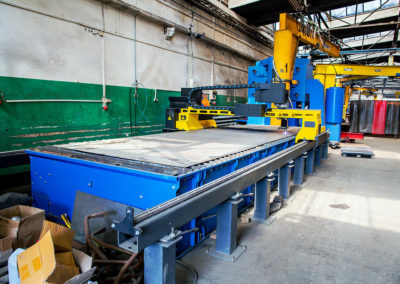 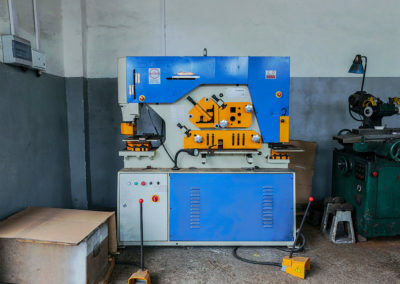 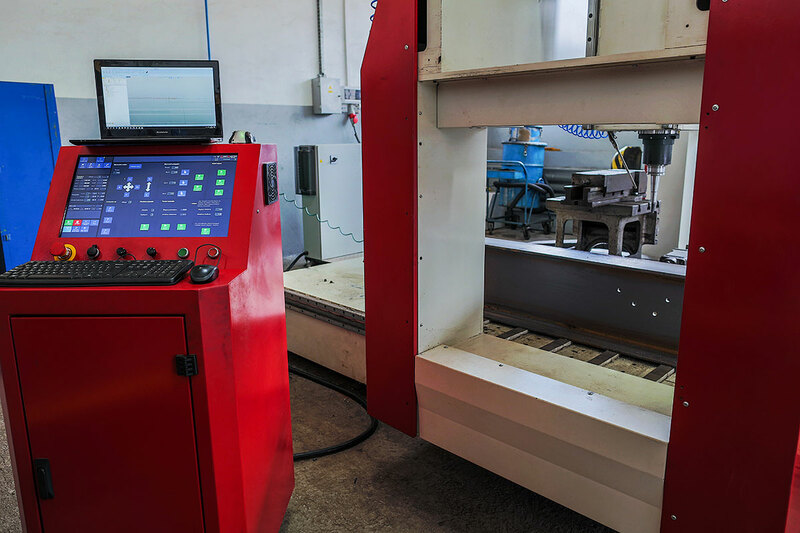 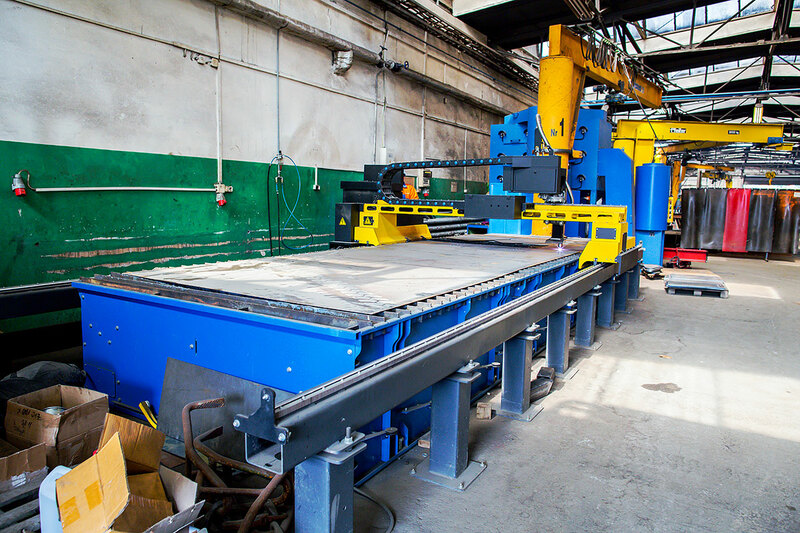 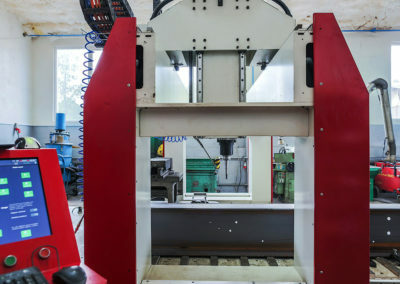 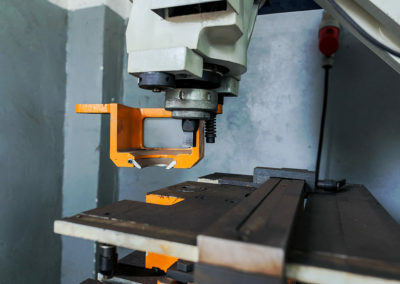 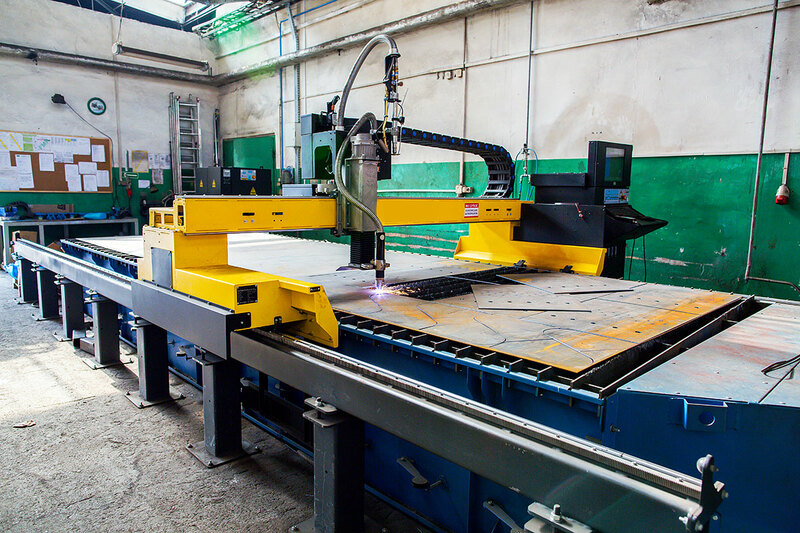 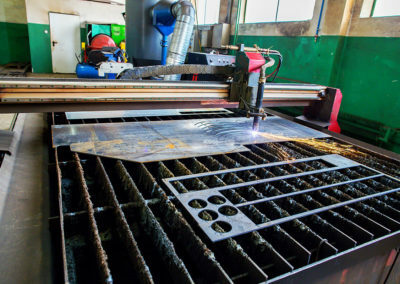 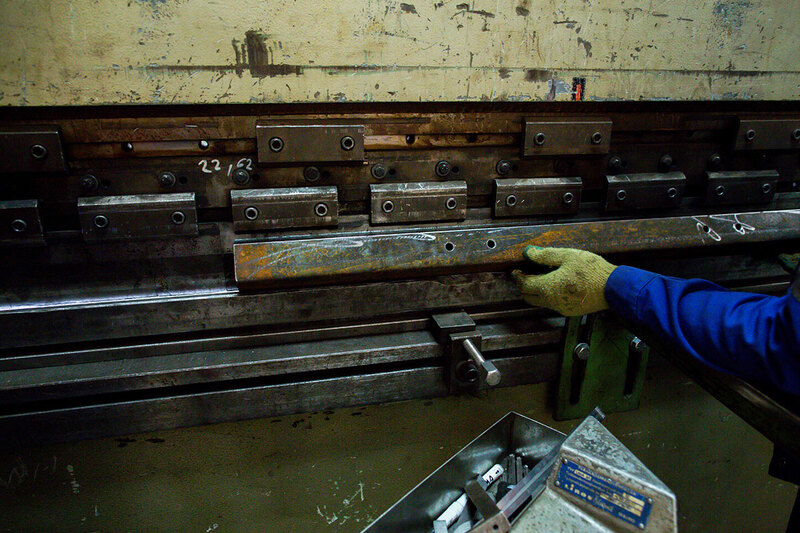 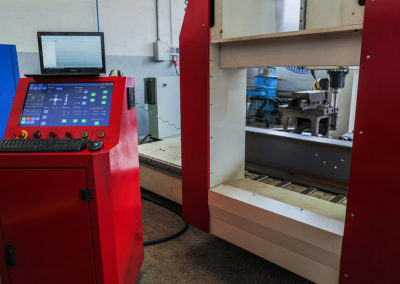 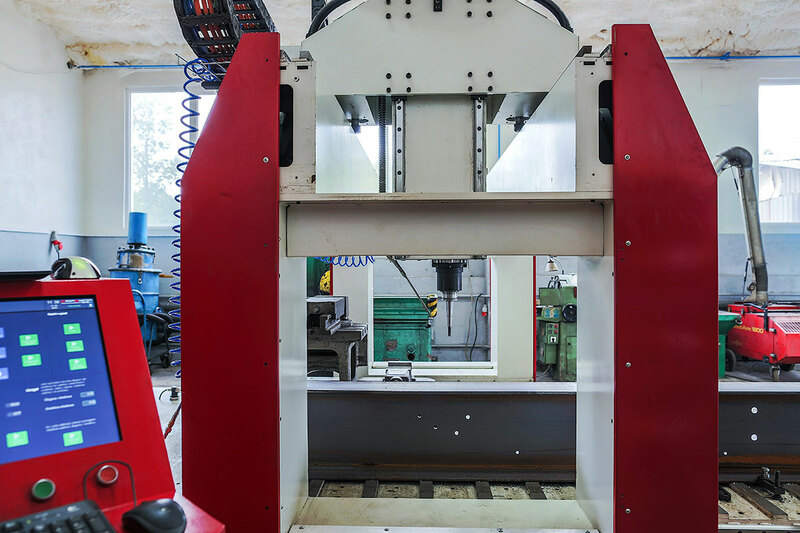 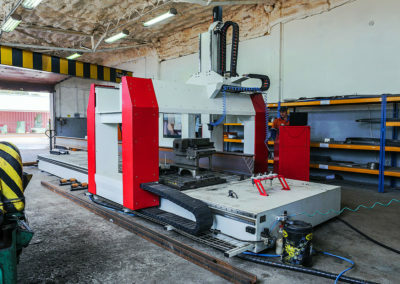 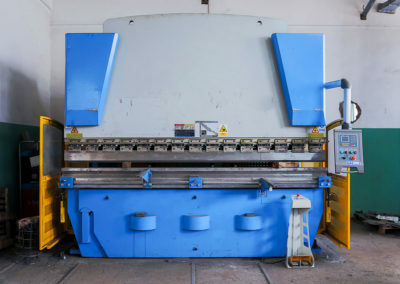 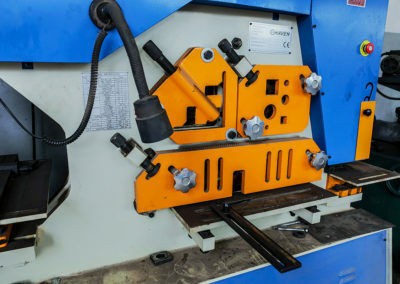 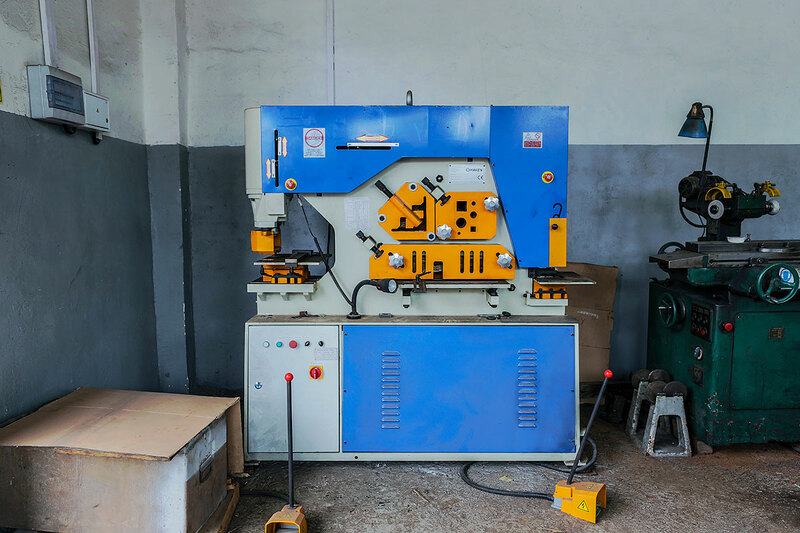 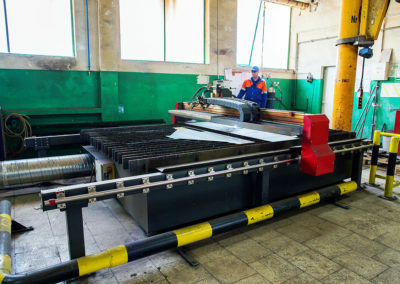 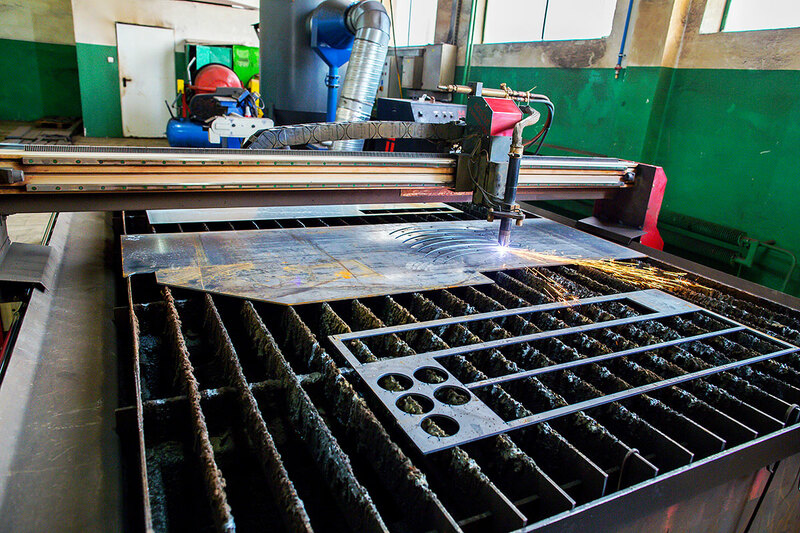 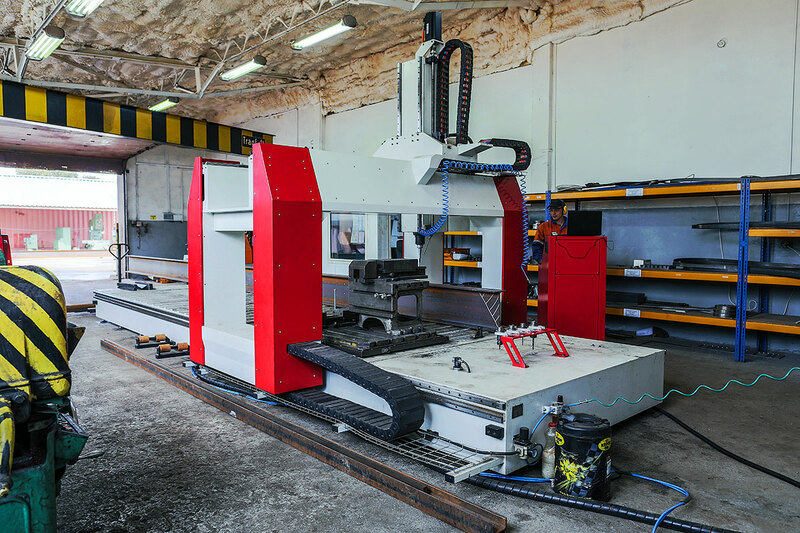 In order to constantly minimize the production costs, FMK invests in various, new technologies and equipment, among others CNC plasma cutting machine, CNC milling plotter machine, CNC lathes machine, CNC bending machine, four-rolled rolling machine and many other machines and equipment for mechanical and welding works. 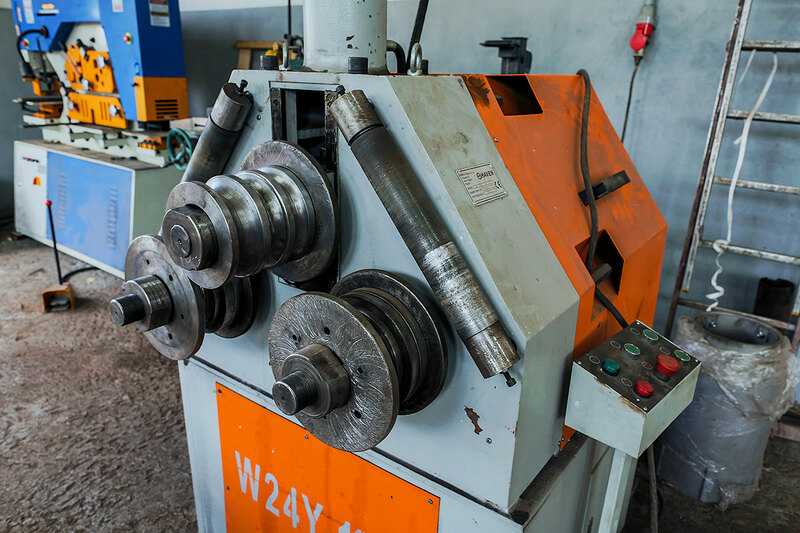 We conduct in the serviced companies unifications of the individual devices in order to minimize the necessary amount of spare parts. 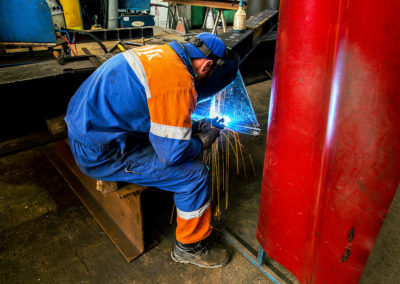 The company continues to raise the value of its employees by conducting various types of training courses organized by specialized, external companies. 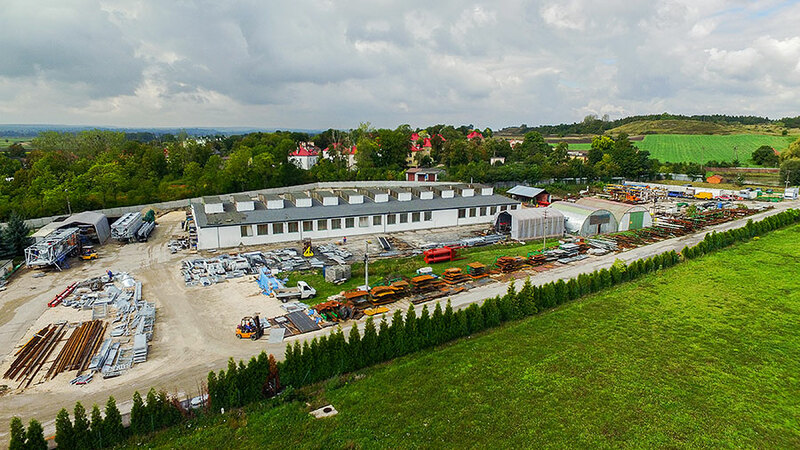 – In order to minimize storage costs of spare parts for the largest customers, we have initiated consignment warehouses on their premises. 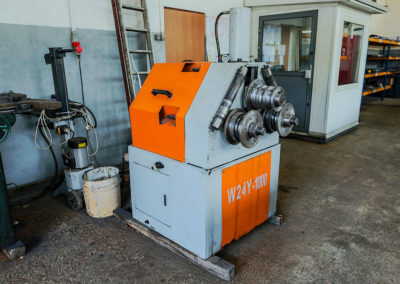 As of today, there are almost 850 drawing items. 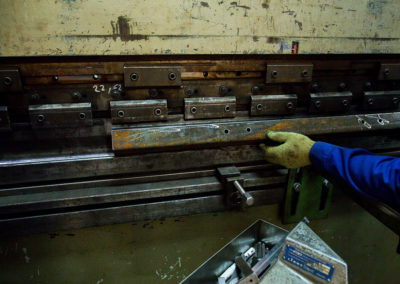 These are spare parts as well as ready-assembled components. 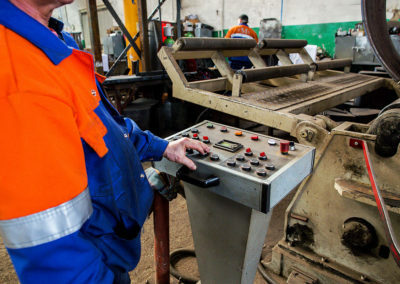 This solution allows minimizing the costs associated with the replacement time and costs of equipment downtime. Keeping the spare parts constantly in the consignment warehouses allows constant modernization and improvement works of the construction solutions, which allows reducing costs of maintenance and repairs. 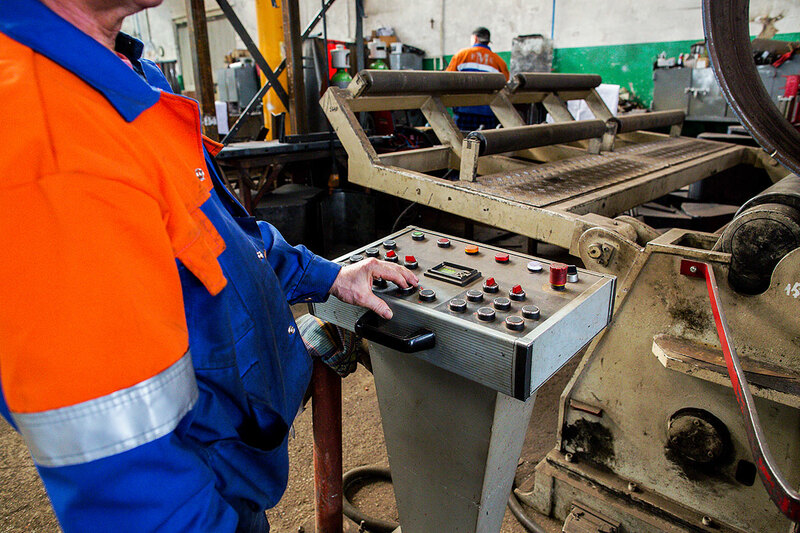 – We keep the material warehouse – (around 120 tons of materials in various genres), which allows immediate response to the reported failure, regardless of the time of its occurrence. 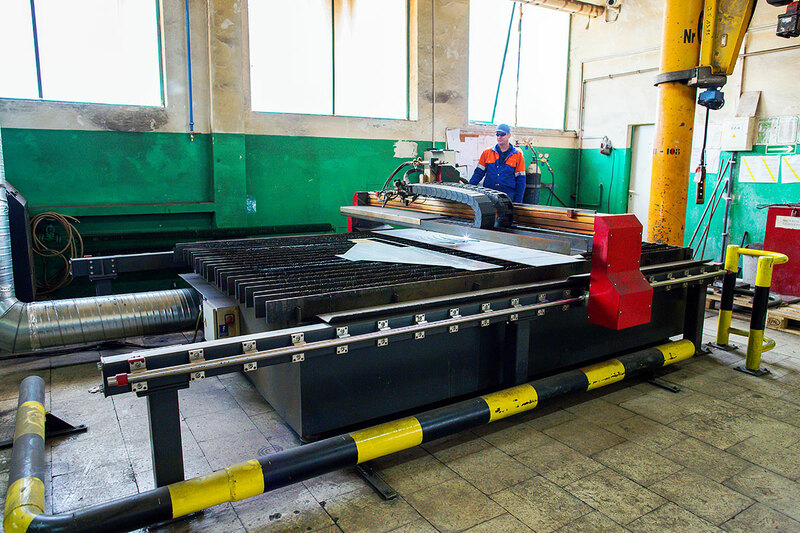 – We possess modernized, machinery park, which allows to execute the majority of technological operations with our own resources. 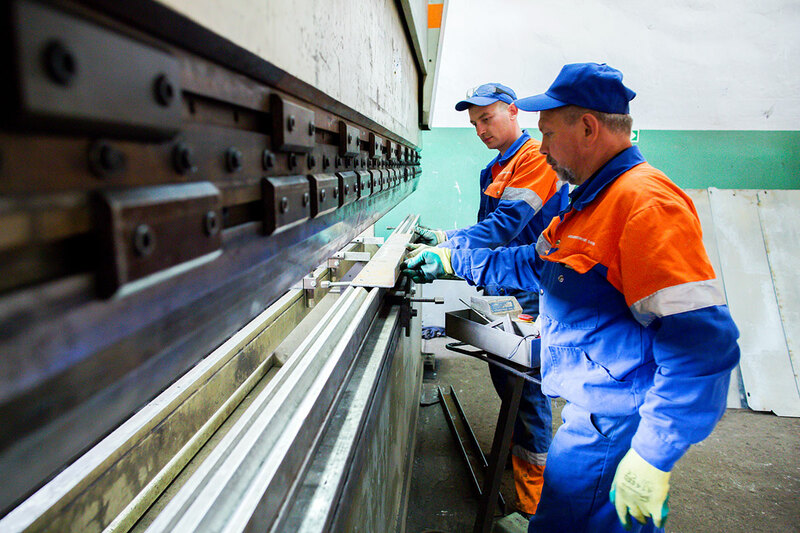 – We employ highly qualified staff, whose competence and experience allow fast removal of failures.